Just when you thought you couldn’t love Peeps anymore than you already do, Oreo goes and turns them into a cookie.The limited-edition cookies inspired by the iconic Easter candies were first spotted on Walmart.com and will be available in Walmart stores starting Feb. 22 — but a representative for Oreo tells PEOPLE the new exciting flavor is also already available nationally in a variety of grocery stores.The latest creation to pop out of the Oreo Wonder Vault is made up of two golden cookies and bright pink marshmallow Peeps-flavored creme covered in sugar. They retail for $4.49 per package. 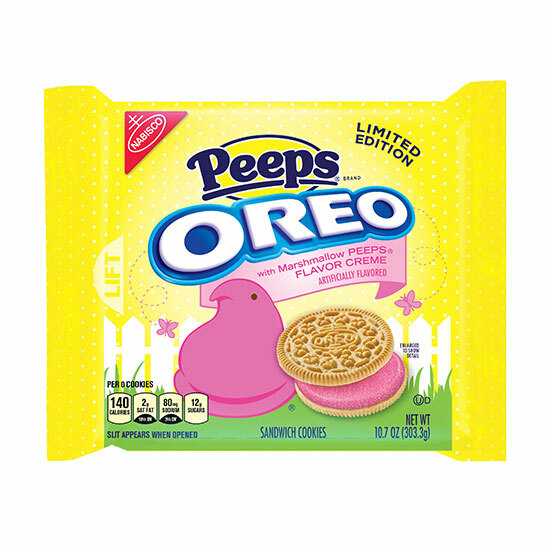 The Peeps Oreos are not the first sweet treat to get us excited for spring. Vanilla cupcake M&M’s and Reese’s gold eggs are both rumored to make an appearance on shelves before Easter. For more excited food news, follow People Food on Facebook.